Ever since last season Ilja Visser is ‘one of the big guys’. 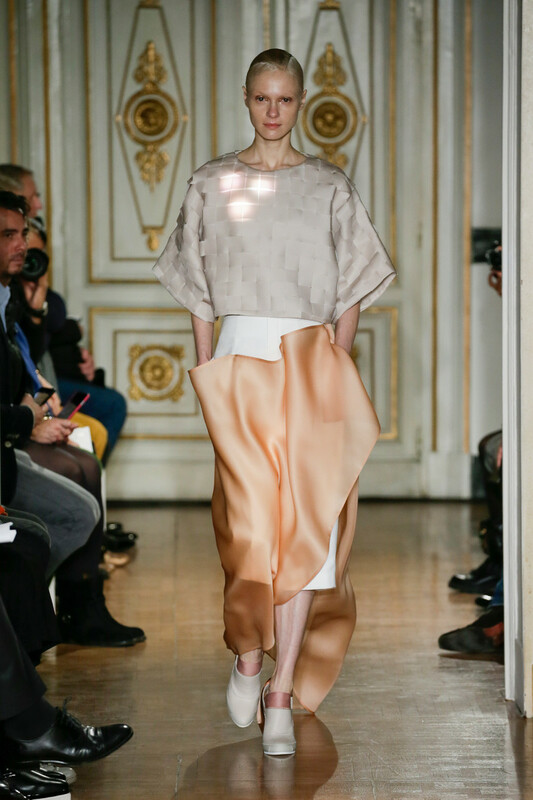 Meaning on Wednesday the 27th of January the Dutch designer was officially part of the Paris Haute Couture Week for the second time. 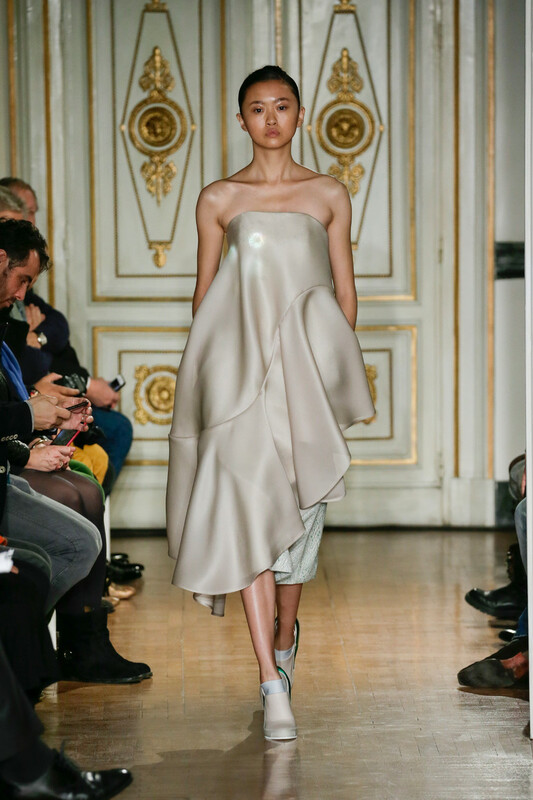 She chose Palais Vivienne as the show location for the presentation of her SS16 couture collection ‘ASSIMILA’. Quite the classical, baroque backdrop to Ilja’s modern, clean, yet sculptural creations, which, as she explained, were an ode to contemporary femininity. 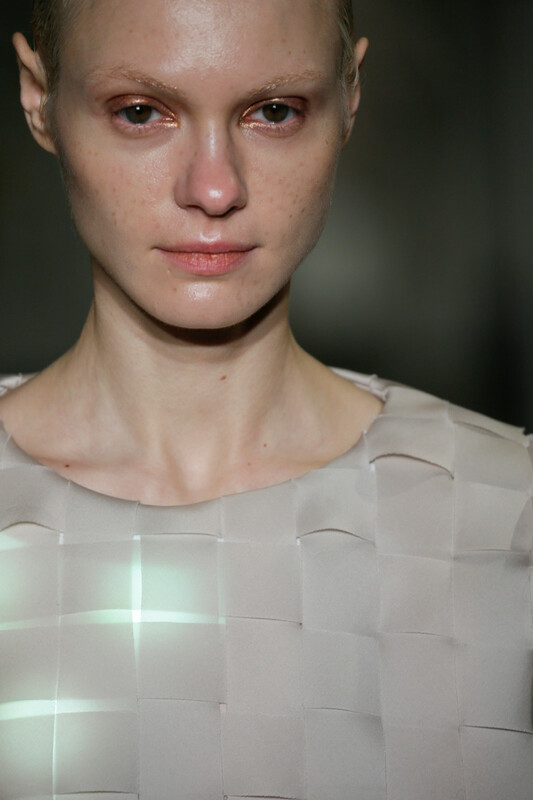 A theme Ilja further elaborated on with crafted, soft shapes, textures and colors (whites, nudes as well as touches of orange and green) that carried a modern attitude. Designs looked impeccable, unique, refreshing and desirable. With an ability to please both the couture shopping rich ladies as well as some popstar stylists (Beyoncé dresser attended the show). Asymmetric strapless dresses, structured jackets, boxy tops and slip dresses and cropped tops; this was couture with a definite cool factor ready to be picked up by Hollywood’s/The fashion world’s latest it-girls. 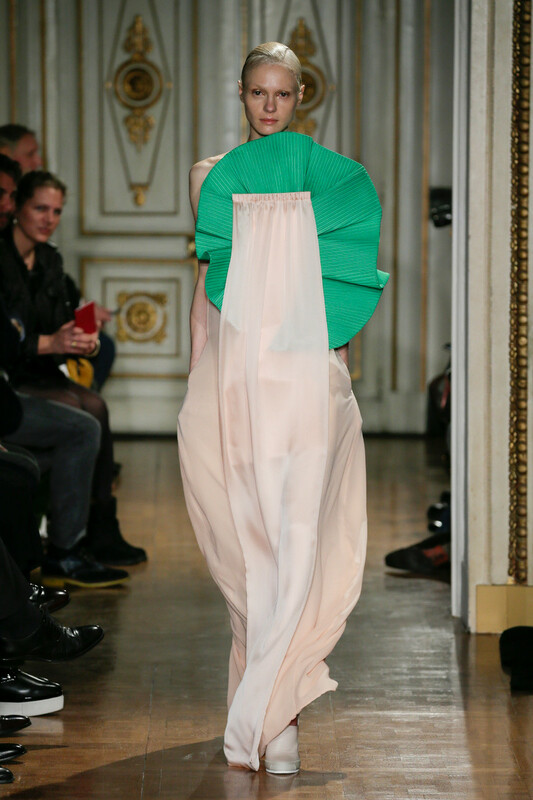 Now the Chambre Syndicale de la Haute Couture might be a dinosaur institute that sure didn’t stop Ilja from giving her scheduled show an extra fashion forward touch. 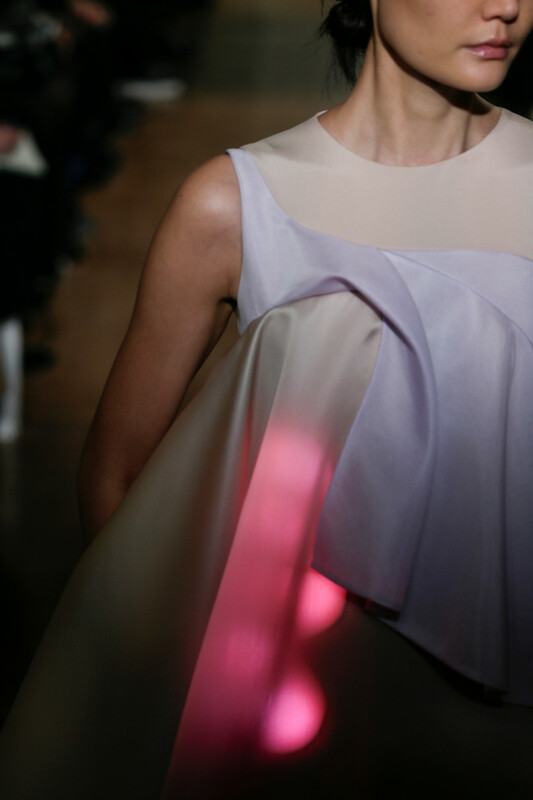 She arranged special light effects to create vivid colors on some of the models. Fresh faced models with a personality, who exceeded in their diversity, representing Ilja’s ‘urban cool’ and ‘new pretty’ beauty norm. Modern talented women, professionals, mothers, spouses and friends Ilja wants to be unapologetic while chasing their dreams. Like she is doing herself, and quite successfully so.